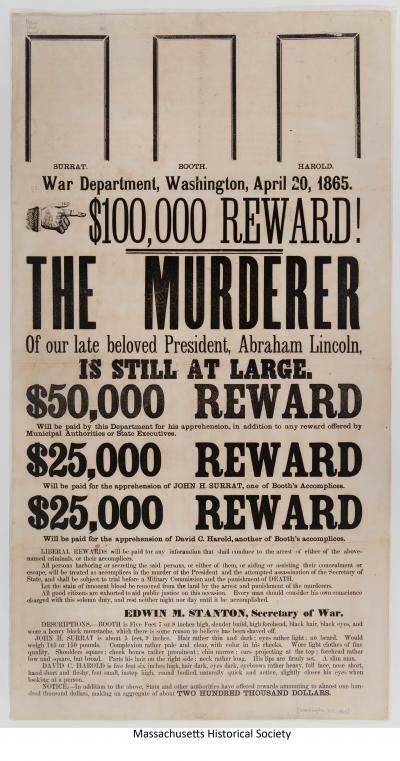 This lesson is designed to analyze and discuss the country's reaction to the Lincoln Assassination through primary source documents. Or, to promote students’ use of primary source documents at anytime during the academic year. The activities are designed to be flexible enough to conform to any instructor’s time frame and student abilities from elective courses, standard American History, or Advanced Placement classes. In this 2-3 part lesson students will be challenged to analyze, think critically, work within a small group environment, and express themselves through creative outlets. Students will interpret a small sample of primary source documents that reflect reaction from all over the country, and each student will be required to demonstrate the knowledge gained from this lesson in written form. How did the assassination of Abraham Lincoln impact the country? 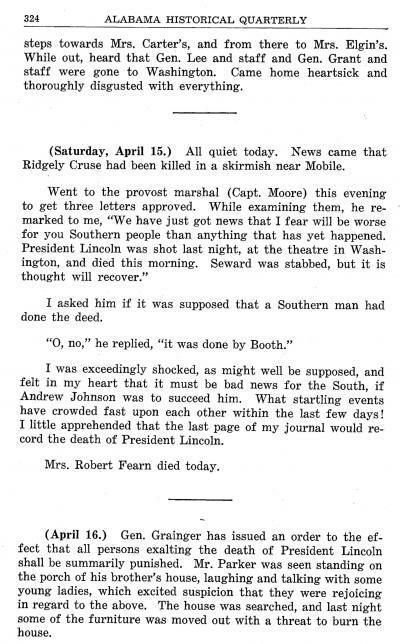 How did people in the North and South react differently to the assassination? The students will analyze and process primary source documents. The students will use critical thinking skills in the analysis. The students will use their writing skills to develop a well conceived written assignment. The students will have the opportunity to create a document that demonstrates their gained knowledge of the lesson. The students will be able to gain a better understanding of the impact the Lincoln Assassination had on its country. The students will be able to better understand how the people in the North and South reacted to the assassination. -	Using both video and text, students are introduced to the assassination. -	Working in small groups, students analyze eight primary sources related to the Lincoln Assassination. -	Instructor leads a discussion on how Americans have reacted to different national tragedies. -	Students analyze a cartoon clip related to the Lincoln Assassination. -	Students describe the reaction of Americans to the assassination in 100 words. Instructor will play the “Eyewitness to the Lincoln Assassination” YouTube video as a unique visual to introduce the topic. Instructor will then present a brief summary to History Net’s Lincoln Assassination Introductory Essay. Instructor then can read the essay directly, summarize, or ask the students to read independently or aloud. The instructor will break the class into small groups (preferably 4 – 5 students in each group; groups selected by the instructor). The group will then select a leader to insure that guidelines and rules are followed. At this point, the groups should go over the Seminar Rules and Guidelines (see supplemental attachment). If preferred, the instructor may deliver the guidelines. Introduce the documents in the Remembering Lincoln collection to the students. Have them download the items/collection or present them as handouts. Allow the students to spend some time with the documents, analyzing and skimming them. After that, present the students and groups with the Primary Source Document Questions –below (number of documents analyzed is subject to time availability). What is the source or title of the document? 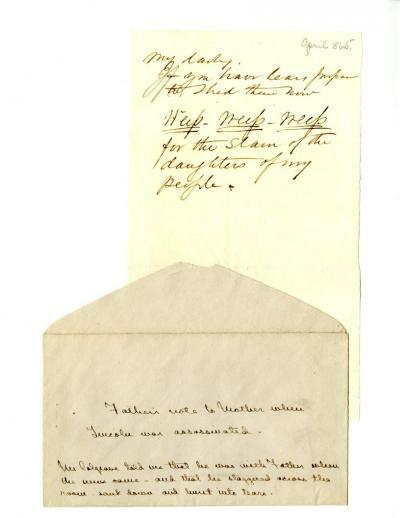 Is this document pro or anti-Lincoln? What words or images indicate the point of view of the author? Discuss items in the document that surprised you? Instructor should monitor group activity, intervening when necessary and be available to answer questions. The preferred timeframe for analyzing these documents: 15 minutes for individual analysis and 15 minutes for small group analysis. Instructor will introduce other tragedies in U.S. history (i.e. JFK assassination and/or 9/11) Conduct a discussion on how these “flashbulb memories” are connected in history. Flashbulb memories are those distinctively vivid, long-lasting memories of a personal or national circumstance surrounding the discovery and occurrence of a shocking event. Identified by the perceptual clarity in details of the context in which the news was first heard. The instructor should begin by showing the clip of the Batman and Abraham Lincoln vs. the Joker. Teacher led discussion using the four questions from the previous small group seminar work. How would you describe the response from all over the country to this American tragedy? 100 words or less: Be concise but still use a minimum of 3 documents in your response. You have 20 minutes. As a class, discuss feedback and written responses. 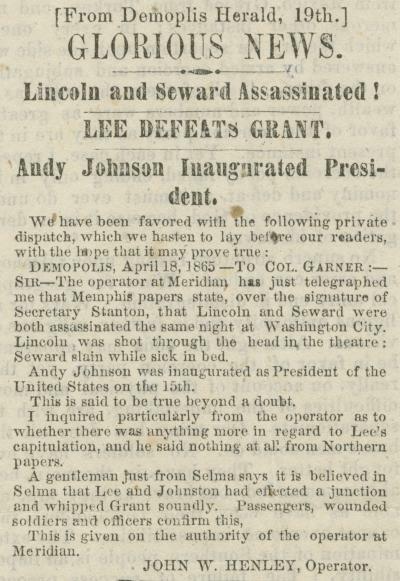 Extension: Students can write a letter, a newspaper article, a diary entry, or design a poster that describes a reaction to the Lincoln assassination, using items from the Remembering Lincoln website for inspiration.